Two weeks ago, the Denver Brew Theology community met at Grandma's House Brewery and talked about #MeToo. It was a challenging topic, but one that we knew we needed to meet about and try to cover. Needless to say, there was no way to cover everything. But we gave it a shot. As a result of that evening, Janel has recorded a podcast to also cover some of the material. This is definitely not everything we did, nor is it a comprehensive episode. But we hope that it opens up the topic and creates room for healthy listening and dialogue. This podcast is probably PG13, in that there are a few stories about things women have experienced. Janel would like to thank several people for their contributions. Dr. Christy Sim is a domestic violence expert who helped with the resources and layout of the evening. Dr. Kara Lyons-Pardue is a professor of NT who helped me with liturgical resources. Lyndia Radice is an experienced Social Worker who also helped make sure this discussion was helpful and healthy. Janel thanks Ryan for reflecting on his own experiences in the church around this topic along with Baird (Janel's husband) for talking with the Denver community about HR policies. As always, a BIG thank you to Dan Rosado for being the best podmaster ever! Following are a list of resources referenced in the podcast or used in our discussion. If you would like to host your own discussion please reach out and let us know. If you were triggered in any way and need someone to talk to, please reach out to Janel or Ryan. Or you can reach out to these other agencies or Dr. Sim. For more information on this show, check out this blog from Brew Theology. Head over to the Brew Theology website, www.brewtheology.org, to become a local partner, sponsor or contributor. 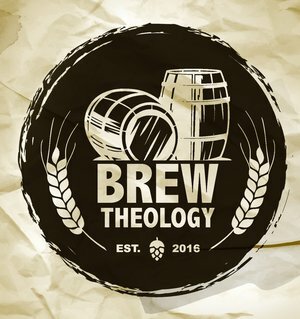 Questions & inquiries about Brew Theology, the alliance/network, Denver community or podcast, contact Ryan Miller: ryan@brewtheology.org &/ or janel@brewtholeogy.org.